Business and Baby at Home! I’m really pleased to introduce and welcome Australia’s Sarah O’Bryan, author of Business & Baby at Home! More than just an author, Sarah walks the walk of a savvy “mumpreneur”, as she juggles three young children at home while continuing to build her home based business, Lasso Creative, as a Graphic Designer. As if that weren’t enough, Sarah is also comfortable in the media, engages audiences during her public speaking talks, and writes insightful, helpful articles in various publications, websites, and blogs. In today’s interview, we get the chance to know a little more about this fascinating woman. Q Sarah, could you please tell us a little bit about yourself and what lead you to write for and about work-from-home entrepreneurial mothers? I’ve always been a firm believer in creating your own blueprint and leading with passion in life. I guess that’s why my husband and I were knee-deep in a gigantic dream-home reno at the same time I moved Lasso Creative into my home studio, and gave birth to my first child. Similarly, my third babe was born on the cusp of my book launch. I juggle the latest design project alongside the world that is Business & Baby at Home (Finch Publishing, 2013). This includes an appearance on the Today Show, contributing to numerous magazine features on the topic, and writing articles for Australia’s biggest women’s network, Business Chicks. Business and Baby at Home (Finch Publishing) is an extension on the way I run my business. It’s my way of passing on inspiration, innovation and the business acumen that I use to build my brand on a daily basis. The book is a set-up and survival guide for work-from-home parents, with a positive and engaging message that I believe is vital in today’s society. Q What would you say has been your most difficult personal or professional lesson to learn? I’m very ethical in everything I do, whether personal or professional and I’ve always had the natural assumption that others will behave the same way. It’s tough when you have to work with people who don’t share the same values. You’re left feeling let down and disappointed. I’ve learnt that it comes down to being mindful, and accepting jobs where values align for both parties. Q If you could invite any two people to dinner, who would you choose, and why? Frida Kahlo was a game-changer and has always fascinated me. She lived by her own set of rules, was a true artist and an amazingly resilient human being. I really admire resilience in a person. I would also invite Oprah Winfrey, because she’s such a wealth of information on life and business, has amazing connections, and is a true beacon of success. We share a common trait… she also loves food, so the table would be abundant, the music playing and the drinks flowing. Q We all have aspects to our lives or our selves that aren’t well known. Could you share something about yourself that not many people know? Most people tell me that I’m really relaxed and laid back, but it’s really the opposite. My mind is constantly ticking over, brainstorming new ideas and dreaming up my next goal in life. Q As a woman on the move, I’m sure you have many, but what would you consider is/was your greatest WOW moment, and why? Seeing the words of how my life works in print which lead to chatting to the stunning Lisa Wilkinson on the Today show, one of our national breakfast programs here in Australia. Being on set with the cameras, lights and crew was such a buzz! I was called on as an advocate for working from home and having that all-too-frightening discussion with your boss negotiating the move. It was new, challenging, and I felt completely in my element. Q We seem to be seeing a global trend in this area, but why do you think so many women are choosing to work from home? I think there are a few factors at play regardless of where you live. The first is the rise in the cost of living, real estate prices are sitting at an all-time high, and the weekly family food shop is an expensive exercise. For many, it’s just not an option to be a stay-at-home mum. Secondly, I think women want to retain some independence, and have an interest beyond motherhood. A lot of us enjoy our chosen professions, and want to stay connected with it. Others find becoming a mum is the inspiration for starting a new business. Plus, the world is changing, it’s now more acceptable to work from home, or create more unique work practices. Technology is continually evolving to support flexible work arrangements. Q Working from home can seem like the ideal dream job, but what do you think are the biggest obstacles new “mumpreneurs” face and aren’t prepared for? A lot of mums tell me they don’t feel supported by their partners or family and friends. In some cases, there’s an attitude that what they’re doing is not a proper job; particularly in the early days, when the business may not be making a huge profit. Support is very important. I talk in the book about adopting an equal-parenting approach, but also an equal approach to all the responsibilities of running the household. The other factor I’ve found is having the determination to persevere, even when you feel disillusioned. You can often hit roadblocks or speed-bumps, and it can be tougher than you think to get the business moving. Q Time management and scheduling have to be the cornerstones for any successful entrepreneur. Could you give us an example of what a regular day for you looks like, and how you juggle all the various demands? My day always starts with a cappuccino! I then get the older kids ready for school, and all the other usual family demands in the morning. Once the school run is done, and the baby is settled, I check my current work-in-progress schedule to figure out my priorities for the day. Then it’s all about ticking off the to-do list! I may design a new logo or brochure for a client, respond to a journalist or pop some material on Facebook or Instagram. I use my little one’s sleep schedule as blocks of work time. It’s great for client phone calls and is a really productive way to work, as you know you have a deadline the moment the baby wakes. By the afternoon, I’ve made progress. I always make time for some afternoon tea, park or play time with the kids. If my husband is home on time, he’ll make dinner and do a few household chores while I play tag and head back into the studio to finish any major projects off. It took a while for us to get the balance right, and while every day is different, we always end the day with dinner at the family table. Q What do you think are some of the mistakes people make when starting out, and why? The old saying, ‘do what you love, love what you do’ is a huge factor in finding success. Do something you’re passionate about because this is what will keep you motivated when you lack enthusiasm or are feeling exhausted. People often forget that whilst they may look like it on the surface, not many businesses are over-night success stories. Years are spent planning, working, networking and building businesses, and hopefully it’s done with joy in people’s hearts because they are doing what they love to do. Q Really making any new business a long-term success is tough. What do you think is the secret to success for those who choose to work from home while raising a family? I’ve found one of the biggest issues is knowing when to switch off. I know for me, a huge amount of self-discipline is required to not constantly check my phone, or think about the design project I’m working on. It’s really important on many levels to know when to take the work hat off, or vice versa, take the parent hat off when you’re working. It’s about being present, living in the moment, when your children are telling you about their day, or being completely on task when you’re working to meet a deadline. Work/life balance is never achieved, it’s just maintained. Q Everyone wants to know; what are some of your best tips for mothers who want to successfully run their business from home, while still being a hands-on parent? Keep a work-in-progress (WIP) list at all times so you have a record of your jobs. Update this throughout the day so that nothing slips through the cracks. Go over it at the end of your workday to help you switch off and relax, knowing that everything is in place. This also means you start your day with a clear direction of what needs to be done first. Set reasonable lead times for yourself so that when you’re particularly busy you’re not overly stressed trying to deliver on time. It’s better to surprise a client by getting a job done early rather than it being late. If it’s taking longer than you expected, retain clear communication with the customer, assuring them you’re doing the best you can and that they’re a top priority. Set short and long-term goals for both personal and professional achievements. These may be setting financial benchmarks, acquiring a number of new clients, or getting to Pilates once a week. It’s a huge encouragement and as you tick them off they give direction to keep you on track for where you want to go. Maintain a strong routine that enables you to get your work done. A lack of routine can result in shapeless and unproductive days with no progress. We all know as a parent, you can get to the end of a day and think where did the time go? So create and stick to a routine that works for you and allows blocks of time that you’re working through your WIP. Q How can we connect with you in social media? Thank you so much for your time today, Sarah! You’ve given us some great insights, tips, and encouragement on women/mothers working from home. Congratulations on the success of your book, Business & Baby at Home, and we wish you all the best in your future endeavours! Balancing single parenthood, work, anxiety, and everything else the world throws at our feet is difficult for anyone. Adding postpartum depression, divorce and domestic violence into the mix and a tale of survival emerges. In author Megan Cyrulewski’s debut memoir, Who Am I? How My Daughter Taught Me to Let Go and Live Again, readers will follow the author through a journey of loss, pain, hope and eventually, success. Written through the eyes of a young woman who battled life’s most heart wrenching events, readers will find a gripping, unforgettable story that will leave a mark on their hearts for a very long time. Give us some background on why you chose to write a memoir. Basically, I did not pass the Bar Exam so I had to find something else to do before I was going to retake it. Everyone told me I should write a book about what happened with my postpartum, divorce and child custody battle, so that’s what I did. Lucky for me, Black Opal Books (my publisher) offered me a contract! What kind of reaction do you hope to receive from those who your memoir? There are two main points I want to get across: First, postpartum depression affects millions of women and nobody should be afraid nor ashamed to seek treatment; and second, emotional domestic violence is just as traumatic as physical domestic violence – it’s just harder to recognize. I want women who might be in a damaging emotional abusive relationship to read my book and know there is help out there for them. What genre do you feel your type of book fit well into? Hmmm…I’m not sure. Obviously a memoir but I don’t want to pick a specific target audience. I think my book could impact anyone of any age and/or gender. Tell us about when your desire to become an author became a reality–had you always wanted to write novels? My major in undergraduate school was in Journalism but because I wanted to move out of my parents’ house, I took the first job I could find, which was a non-profit. I stayed in that career for 8 years and then switched to law school. I loved writing my memoir and I hope it helps people who are in similar situations. I look forward to continuing my writing career and will write crime fiction novels. There have been some things that have happened since the book ended, so maybe I will have a sequel in a few years. Are there any memoirs you’ve read through the years that have inspired you when writing your own? I loved “Her” by Christa Parravani. Her book was my inspiration. I thought that if she had the strength to write about the death of her twin sister, then I had the strength to write my story. With today’s demands of self-published authors, how to you balance both the writing and marketing aspects of the job? Luckily I have a wonderful publisher; however, I’m a total Type A personality and have been marketing nonstop since I signed my contract. I’ve had to learn a lot about the marketing aspect in a short amount of time. Now that I’ve kind of got the marketing part down, I am able to balance my writing and marketing. I’m working on a crime fiction novel. I don’t have a title yet but hopefully it will be published next year. Share with us one thing about yourself that readers would be surprised to learn. I share a ton of stories on my blog about my daughter, Madelyne. Most people would be surprised to learn, however, that for 30 years of my life, I never wanted kids. In fact, one of the reasons my ex-husband and I got married was because neither one of us wanted kids. I address this in my book but it definitely shocks new friends I meet on Facebook! I see you have a blog, which is such a huge means of reaching readers and authors. What in particular compelled you to start one? Part of my contract with my publisher was that I needed to start a website. I did some research and I learned exactly what you stated in this questions – it’s a huge mean of reaching readers and authors. What are some topics that you are passionate about that might be featured on your blog? I have a series on my blog called Authors Supporting Authors. I have featured 100+ authors on my site because I never turn anyone away. I blog about motherhood and Madelyne because she is hilarious! Sometimes random things put into my mind and I write a post about it. Don’t let anyone’s judgment deter you from writing. Keep in mind that you can’t please everybody. Feedback is good as well as constructive criticism but in the end, you have to do what is right for you. Also, get an editor. I thought I was good at grammar – until I got back my first round of edits. Now I tell everyone that an editor is an author’s gift from God! Lastly, tell us where readers can find your book, as well as your blog. There’s no shortage of stress, anxiety and fear that underscores every new pregnancy. When a baby makes its debut well in advance of the scheduled due date, the perilous proceedings associated with its survival impose physical, emotional and spiritual challenges on the parents that they could never have anticipated. I interviewed Sola Olu about her debut memoir, The Summer Called Angel as part of the WOW! (Women on Writing) Blog Tour. My book review is at Blogcritics. Q. You mentioned that it was part of your culture to be strong. What do you consider you have passed down to your children from your (and their) cultural heritage? A. Funny you asked this – I just had a reprint of my article in In-Culture magazine. Hopefully that will give you an idea. Q. As someone who visited Zimbabwe when I was just a kid, my impression of the African culture was that of strength, dignity, endurance, compassion. Share with us more about your cultural heritage. A. Nigeria is part of Africa—so the culture is like that of Zimbabwe—exactly that. Crying, etc., could be seen as a sign of weakness. We are raised to be strong and resilient. The typical response to hard times is “It will be better or it will become better”. Things like panic attacks are not even discussed, which is why I mentioned it in my book… it does happen. The culture is changing to be more accepting thankfully. Q. Yes, you shared your experiences with PTSD in your book. What ultimately helped you overcome those panic attacks? A. I saw a therapist on the advice of my dad. She helped desensitize me by exposing me to driving in the spots I feared. It took a while. It took me 3 years after the birth of my son to get back to driving on the highway. Q. That’s great you were able to push through. This is a day [Valentine’s Day] that celebrates love, albeit commercially. Your story is that of exceptional love—between you and your husband, the two of you and your children, your family and you, and your relationship with God. How did you draw strength from this tapestry of love? A. Just knowing I wasn’t alone, my husband was there and that God in a mysterious way was still watching over us, even though I went through periods of frustration and doubt. 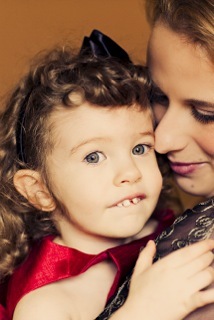 We had to be there for our daughter and that’s what we did, I think that’s what any parent would do. Q. Yes, but it doesn’t make what you and Chris pulled off any less miraculous. What did you hold on to when your faith wavered, when you were spent of all you could possibly give, and there was truly no hope? A. Some form of inner strength, at other times, just sheer numbness, just surviving day to day. It’s like being in a dangerous place and your survival instincts kick in. I knew there was an ending; I just didn’t know at some points what God’s will was. Q. I could appreciate your experiences through your raw descriptions; your ability to capture the miracle of life was intense (sometimes painful) but beautiful. Your blog conveys your generous spirit, your playful verve employed in tackling challenges, and your attitude towards the things you seek to discover and change. What is your writing process for your blog posts? A. Thanks for visiting my blog. As you can see I stopped in 2010, due to work, trying to get my memoir published and other life commitments. I have now restarted it with renewed energy, and my aim is to blog about whatever comes my way in my new journey as an author, the good, the fun, and the bad. My process /schedule should be the weekends – one posted and one written to be posted mid-week. I haven’t achieved that yet, so I try to post whenever I can. I mostly write at night after my kids go to bed. If I can nail the weekend schedule down, I should be good. Q. In your blog, you refer to yourself as a recovering procrastinator. How have you organized yourself to juggle your family, your new book release, work and your volunteer efforts? A. I’ve divided my time into chunks –during the day, early evening, and late night, and of course weekends. Each item has its own time slot. Q. Smart! You also mentioned that publishing your memoir is the fulfillment of a lifelong dream to become an author. It’s difficult enough to write a fictional story, but piecing together all the medical records, the memories, and reliving experiences so you could convey what you felt in that exact moment—that must have taken extreme courage and dedication. How did you write your memoir (did you use storyboarding, index cards, etc.)? A. No I didn’t—no formal beginning or planning here. My memoir initially started as something to write and read to my daughter when she was older, then as the hospital stay became longer, it became more than that. I started and stopped several times, depending on where we were with her complications. A lot of it also came from sheer memory—I can still remember certain scenes vividly, and certain words even up to today. I guess writers don’t forget… the pain fades but the memory is there. I thought it might become a book when the title came to me, but I didn’t really seriously consider that until she was safely home and then I felt I could inspire people with her story of survival so I restarted with that aim. It took forever because I’m a working mom; then came my second pregnancy and ultimately that story was added in. Q. Your book covers how your title came about on page 100, but would you share the story with us? I always dreamt of being an author and have several unpublished works, but it was by accident that my memoir helped me fulfill that dream. Q. Congratulations! As you wrote, God often works in mysterious ways. In your blog, you shared some of your experiences self-publishing (that your process took two years and you went through five editors, and the stream of never-ending issues there were to deal with), as well as some of your lessons learned. What advice would you give to others just starting out in self-publishing? A. It takes time, and you do almost all the work—I wouldn’t use the editing process of the self-publishing company again. That process did not work for me. My subsequent editors were great, with each one finding different issues, but I believe I still have a lot to learn in the editing process. Q. Thank you. What has been your most effective marketing strategy? My website, Facebook fan page, author sites, interviews with targeted groups and of course the [WOW! Women on Writing] blog tour. Q. Did you contact WOW!, schedule interviews, and set up your own site? Q. Thank you. Your epilogue referred to your children as toddlers. Please tell us more about how they are now. A. They are both doing very well. Thank you. Lani is a thriving, inquisitive kindergartner. Angel is a beautiful 8 year-old third-grader thriving and enjoying life. She is an excellent reader and enjoyed the book a lot—she has her own copy. She graduated from all the services, though we still have a doctor’s appointment once a year to monitor her vitamin levels due to the surgeries. Q. Yay! What are your plans for the three children’s books that you have stuck in a drawer? A. Working on one of them next!!! Stay tuned. A. Not yet… I’m doing a lot of research, compiling lists of agents, etc. I also plan to attend a writers conference very soon. I’m looking forward to learning a lot from that. It’s the same one I went in 2010 that helped me decide to publish, so I’m very excited. Yes this is for one of the children’s books. Q. Awesome! I loved your blog post on the seasons of life. How would you describe this season? A. Very fulfilling… very, very fulfilling. I’ve always loved to write and like so many of us, we go on several detours on our journeys. I believe I am back on track and using the talent that God gave me. Q. Congratulations. I’m truly happy for you, after everything you have experienced and how you have turned those dark moments into something beautiful. What is your favorite motto? A. Dream it, write it down, make it happen. There used to be a magazine that featured people in a column with that title, I can’t remember which. Q. What a great motto. You’ve talked about how you volunteered to help parents who find themselves in your shoes. How do you advise parents struggling with premature births, preeclampsia, or the various mental, spiritual and physical challenges associated with “difficult births”? A. It’s difficult to advise because all situations differ, even with premature births. Be strong, be an advocate, do your own research, seek second opinions, and, if applicable, pray that God’s will be done. That was my father’s advice when I didn’t know what to pray for. Q. I appreciate it. Your supplementary essays and the poem were a lovely close to your journey. Please share with us the one thing you hope that everyone—regardless of their experience with premature births or not—takes away from your book The Summer Called Angel. A. Miracles do happen, but sometimes other things happen that are beyond our comprehension. I have learnt that we can’t have all the answers, at least not in this life. Always have hope—no matter how difficult—and this is something I tell myself constantly. I have seen others have hope, even when I’ve been weak, and I think it serves as a buoy. Was there ever a more mystifying or mercurial entity sharing your roof and eating all of your food than a human teenager? In her new parenting book, LIONS and TIGERS and TEENS, popular columnist Myrna Beth Haskell wisely and whimsically affirms the empathetic message “You’re not alone” to the bewildered moms and dads of today’s younger generation. Q: Let’s start out by looking at how – and why – your popular syndicated column Lions and Tigers and Teens transitioned to a full-fledged book of the same name. A: Since I have dialogue with parents on a regular basis, many of them suggested I put the columns together into a guide. I started to look at all of the columns I had already written, and I realized that compiling my favorites together was a fabulous idea! The chapters are actually longer than the original column installments. I added more from the original interviews, and I added additional tips. Q: Newspaper and magazine columns are typically stand-alone fare on a variety of different topics. In compiling columns for inclusion, how did you keep the whole thing cohesive for prospective readers? A: This was easier than one might think. I was able to group the columns into sections so that parents could easily scan the book for “general” types of issues/solutions. For instance, the section “Firsts” deals with issues such as a teen’s first time behind the wheel or first boyfriend/girlfriend. The section titled “The Bad and the Ugly” deals with serious problems teens might face (i.e. depression, substance abuse, bullying). Q: What is the overarching theme of the book and who is your target demographic? A: Theme/Central message: No parent is perfect. However, if you are willing to try different approaches and communicate with your teen regularly, you are well on your way to solving any issue. Collaborate with your teens to find solutions to problems, and your teen will be well on his/her way to becoming an accomplished adult. Demographic: Caregivers of teens (moms, dads, secondary teachers, etc.) – generally men and women between the ages of 38 and 55. Q: Do today’s teenagers have it harder or easier than they did when you were a teen yourself? A: I think that many of the issues are the same. Teens are still dealing with peer pressure, body image, self esteem, bullying, violence, and academic stresses. One stark difference in my opinion: the amount of violence teens are exposed to. I do not remember movies and games being so focused on gratuitous and graphic violence – many times void of consequences. I think teens have more access to this type of media today due to the Internet and social networking. Violence is exploited and easily accessed. Q: Knowing what you know now as a product of life experiences, would you ever want to go back for a do-over? If so, what would you do differently? A: I would never want to “do-over” any stage of my life. I truly believe that we are who we are today because of our past experiences – good and bad. This also goes for parenting. Every parent makes mistakes. You learn from them and you move on. Q: What fascinates, inspires and/or troubles you the most about the modern teen mindset? A: Technology can be wonderful and it offers teen’s exposure to places and ideas that help to expand the mind and imagination. However, there is a dark side to all of this exposure. Today’s technology exacerbates “instant gratification.” Texting, IMing, and other forms of shortened/instant messaging create problems we didn’t once have. To some extent, many teens are losing the ability to express themselves in reasoned and thoughtful ways. They are building relationships where the only contact is via a computer, as opposed to taking the time to actually “be together” and talk to someone. Bullying has also become more hurtful (cyber bullying) where egregious comments or harmful images can be sent to hundreds of peers in an instant. Q: Should parents allow celebrities to be their teenagers’ role models? A: Teens should understand that celebrity is a business…that what they see on TV or in movies is a fabrication of reality. Many celebrities are portrayed in the media as going down the wrong path because it sells newspapers and advertising space. Parents should make an effort to point out good things teen celebrities are doing in their communities and talk about why instant celebrity might cause a person to make bad choices. It is a pipe dream to think your teenager won’t be curious about celebrities, so you need to have frequent and open discussions about celebrity. Q: Your love of the written word was ignited at a very young age. Were you a voracious reader as an adolescent and a teenager? A: I was definitely into books. I was into the horror genre as a teenager. I read a lot of Stephen King. I also loved books about adolescent angst written from the adolescent perspective. I wrote a book review column for my high school newspaper. A: Favorites in adolescence: The Shining, The Stand, The Exorcist, Are You there God? It’s Me, Margaret, Anne Frank: The Diary of a Young Girl. I’ve just started Stephen King’s 11/22/63 about the day John F. Kennedy was assassinated. I also have Killing Kennedy on my shelf – waiting to be read. Unfortunately, I do not have the time I would like to read strictly for pleasure. Much of my time reading is spent doing research for my features and column installments. Q: At what point did you awaken to the realization that you wanted to make your living as a full-time writer? A: In elementary school I knew I wanted to be a writer. However, I didn’t start out as a full time writer. That is extremely difficult to do. Most budding writers have day jobs. I used to teach at a community college, and I also worked as a technical writer. Once I began freelancing in 1997, my writing career developed from there. It takes time to build relationships with editors. It was very part-time the first several years when my children were young. Q: Did you have mentors to guide you on that journey? If so, what were the most valuable lessons you learned from them? A: I’ve stayed in touch with two former teachers – one is an author and one a poet. I’ve asked them both for advice over the years. More recently, I’ve had contact with other writers via social networking, as well as folks I’ve had contact with whom I’ve met through my work. I guess I’ve learned through experience and from mentors that you have to love to write -first and foremost. Most writers do not strike it rich. They write for the love of writing…which is what I do. Q: You’re the parent of two children. Over the course of writing your columns and developing the structure of your book, did you learn anything new that could be applied to your own parenting style? A: I definitely learned to lighten up at times. My lead-in for “Tornadoes and Other Hazards” has a light-hearted tone partly because I realized I had to let my son’s sloppy lifestyle go a bit – “pick your battles” comes to mind. There is a difference between issues that drive us crazy because they just “drive us crazy” and issues that concern our teens’ health and well being. I decided to focus on the latter. I’ve also learned that there are many approaches that work. You need to decide what’s best based on your family dynamic and the personality and maturity level of your teen. Q: Are you a parent, a pal or both? Q: At the end of each chapter in the book is a section called Tips and Tales. What were some of the best tips that other parents contributed? A: The “Tips and Tales” sections include great advice from other parents. My best tips: One parent wrote in about her own experience with depression in her teen years for the “Down in the Dumps” chapter which addresses teen depression. I also received some great tips on anti-bullying programs at various schools. Parents, who also happen to be principals, high school guidance counselors, and teachers, wrote in with great tips. Their advice is obviously coming from more than one perspective. Q: How much research went into the planning of the book? A: Research is extremely important for the type of writing I do. I consider myself an educator, so I have to get it right. I do general research on each topic before I even approach experts to interview. The direction my topics take is influenced by my experiences, but often changes a bit once I do research and interview experts (psychologists, psychiatrists, therapists, educators). This is information my readers need to be armed with when they approach a problem. I also did research on how to put the book together. I looked at other compilations and popular parenting books. 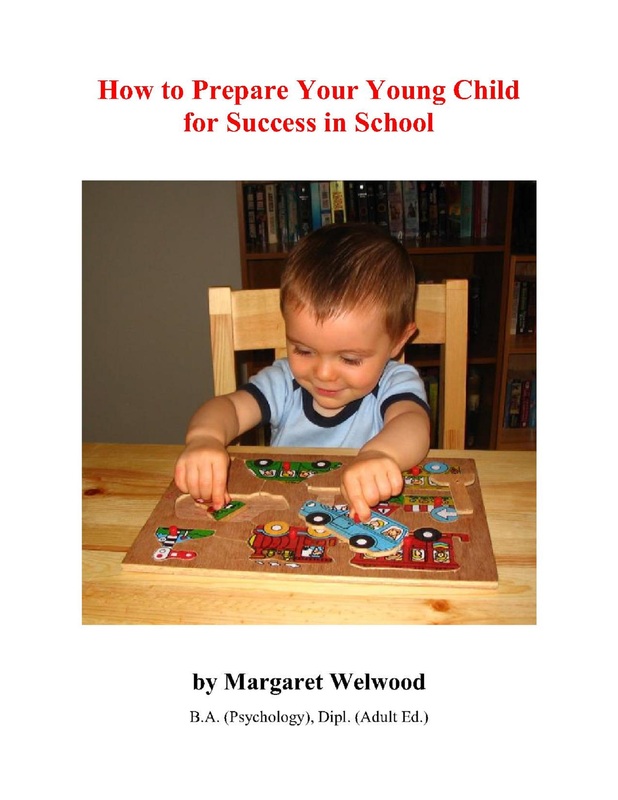 The chapters are grouped into sections to make it easy for parents to find a particular topic. I opted to do my own foreword because I was able to talk about my inspiration for the book and column. 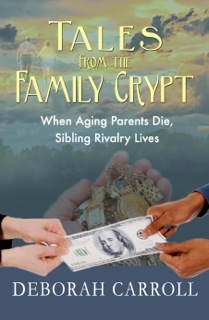 The afterword (“Common Parentisms…and the answers your teens are thinking, not saying”) is humorous and goes with the tone of many of the lead-ins for the chapters (It kind of raps up the “generation gap”). After all, parents of teens have to have a sense of humor. 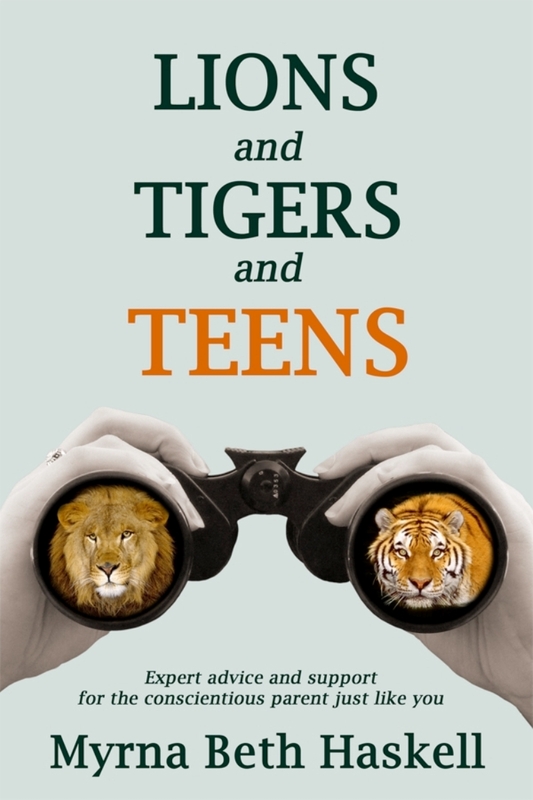 Q: Were there existing parenting books that influenced your approach to Lions and Tigers and Teens? A: Since my book is a compilation of my favorite column installments, I would say the influence started with my column. My work falls into the parenting genre, and I favor a lighthearted, down-to-earth, or humorous tone in the books and columns I choose to read by others. I absolutely love Erma Bombeck! I also enjoy the Newbie Dad column, by Brian Kantz. Actually, I enjoy several “dad” columns and books, including work by Bruce Sallan (A Dad’s Point of View). I think dads have a propensity to laugh at themselves more so than moms. Q: What do you feel is the most serious problem confronting teens in the 21st century and what is the remedy to help them deal with it? A: There seems to be a lot more stress on teens today – school stress, social stress, stress about finding a job when they get out of school, stress about affording college, etc. Stress is the underlying factor for a lot of problems that adolescents face (teen depression, substance abuse, test anxiety…the list goes on). If parents can guide a teen to focus on their goals, improve their self esteem, face issues head-on, and allow them to make mistakes…stress will decrease and teens can focus on becoming a valuable member of society. Q: Which chapters proved the most challenging? A: “The Truth, the Whole Truth, well…sort of” (about what to tell your teens about your past) was difficult because there were many diverse opinions. “That Ain’t the Way to Have Fun” (about teen substance abuse) required a lot of research. Q: Conversely, which chapters were the most fun? A: “The Locked Door” (about teen privacy): I just loved writing the lead-in for this one. “No Jacket Required” (about teens refusing to wear jackets): This was fun because of all of the great comments I got from parents on this one. Q: What is something that most people would be surprised to know about you? A: I am an avid gymnastics fan – another passion of mine. I was a gymnast. I also choreographed routines for NCAA Division I teams, and I was a Level 10 judge for over 15 years. Today, I still try to make it to local championship meets and, of course, I follow what our US girls are doing on TV. Q: What advice would you give other writers who are in the process of writing their first book? A: Don’t get discouraged and have the courage to allow other writers to critique your work. Understand that when you’ve finished your book…your work is not done. Prepare to market your book even if you’ve signed with a traditional publisher. This process can be a daunting one if you are not aware that you have to put in just as much – if not more – time marketing as you did writing. A: I’m always writing new features concerning children’s health and development, and I continue with the column each month. I have plans to start a new column for empty nest folks and a possible second edition of LIONS and TIGERS and TEENS. LIONS and TIGERS and TEENS, published by Unlimited Publishing, is available at Amazon.com and Amazon.co.uk as a paperback and ebook. To learn more about Myrna, visit her website at http://www.myrnahaskell.com.